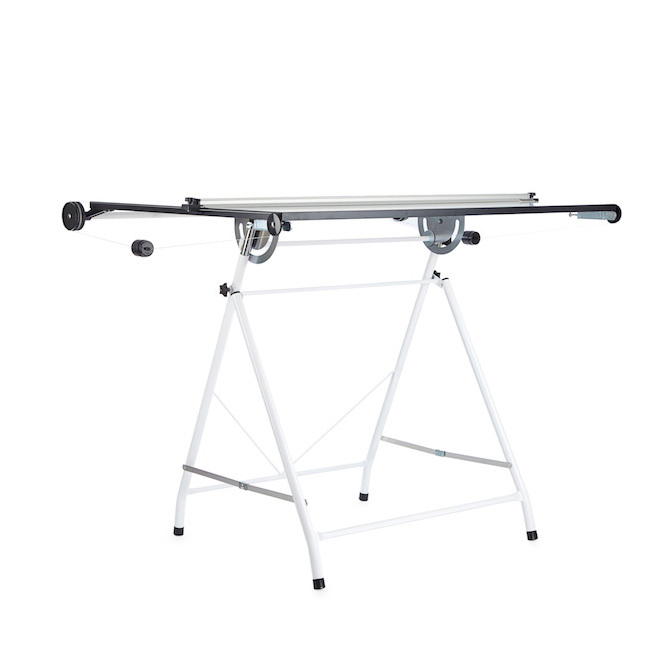 The Tubular Compactable drawing board complete with a 22mm thick drawing board and counterweight parallel motion that balances the straight edge-ensuring a smooth-accurate and positive movement. The professional straight edge is reversible having a metal cutting edge and a clear plastic edge machined and produced to the highest quality- the straight edge is also lockable via a knob positioned on the top rail locking the entire drawing board parallel motion. 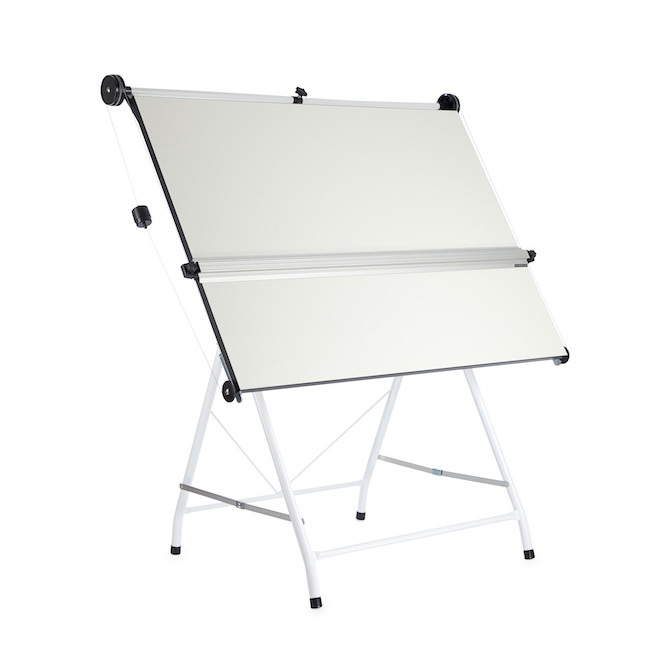 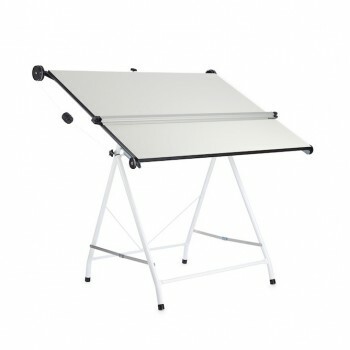 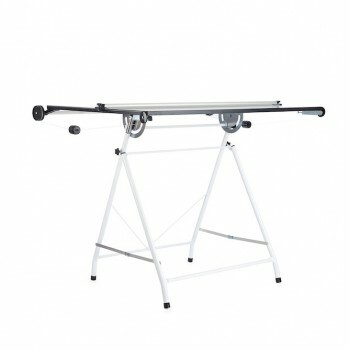 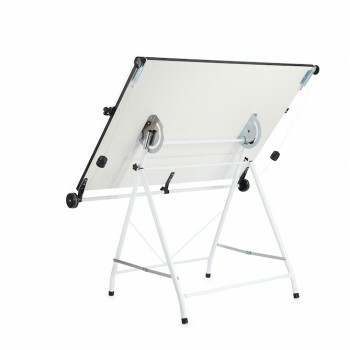 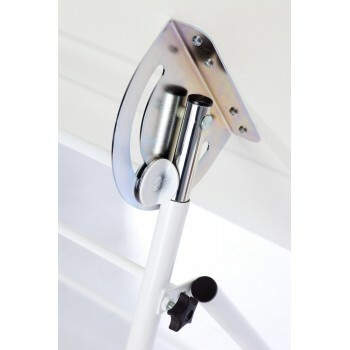 The steel tubular drawing board stand allows the frame to be folded flat allowing for easy storage. 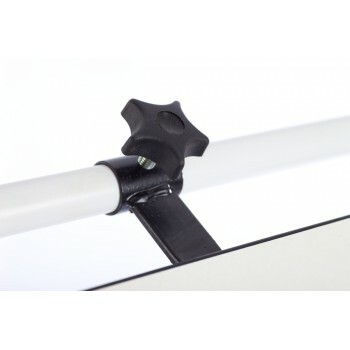 Manufactured from our factory in Essex UK to our high standards and finished in in our brand new digital powder coating shop. 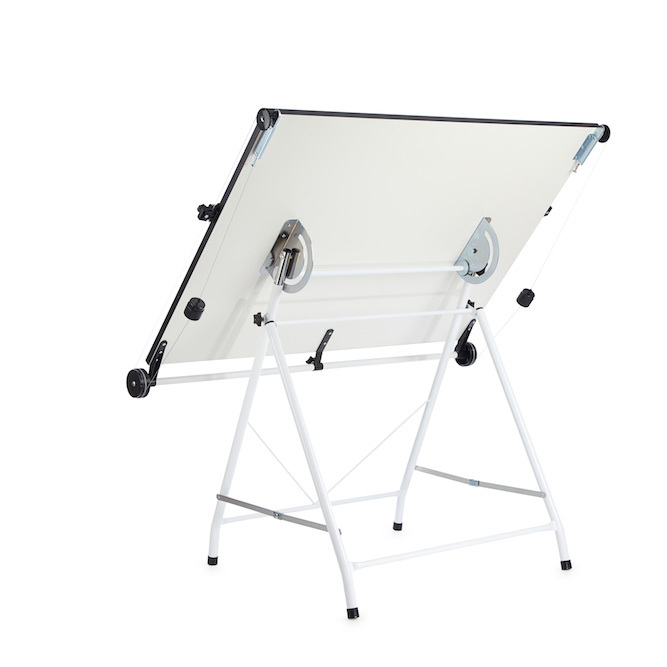 Dimensions of the Drawing Boards stand measures 860mm x 770mm and closed leg position 80mm and is available in A0 and A1 sizes.